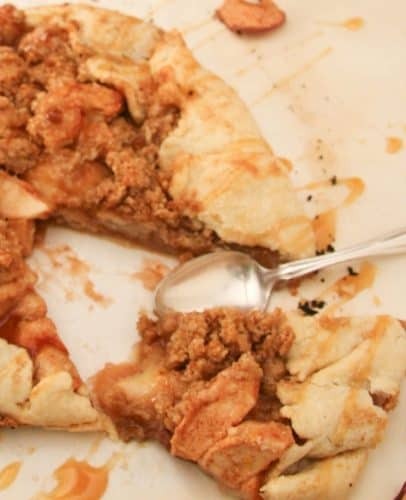 Apple Galette ~ This Easy Recipe is Full of Delicious Harvest Sweetness! 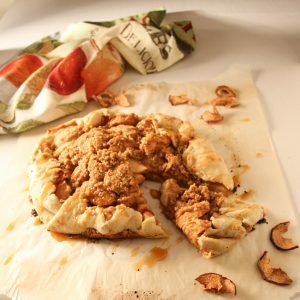 Harvest Apple Galette | Just Like Apple Pie! 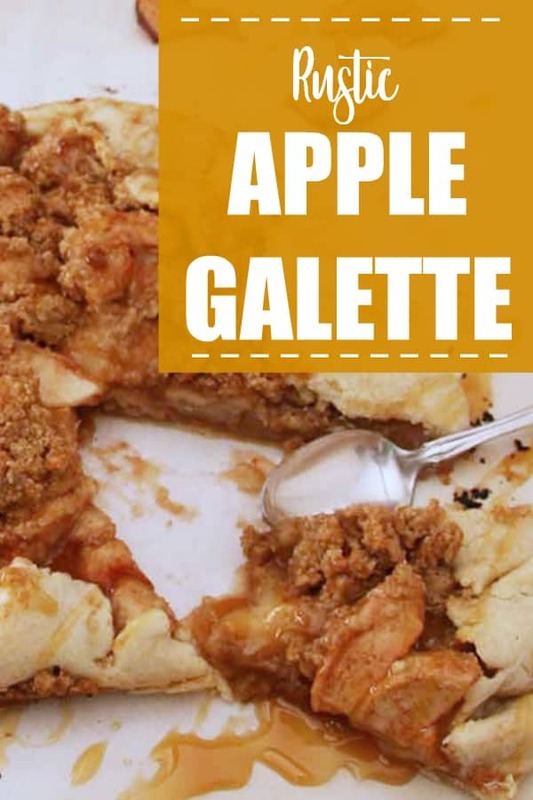 Home » Blog » Food » Easy Dessert Recipes » Harvest Apple Galette | Just Like Apple Pie! This post may contains affiliate links. Please see my Disclosure Policy for the details. Have a slice of my Harvest Apple Galette won’t you? Served warm, drizzled in caramel sauce, wouldn’t it be great with a cup of coffee? I love making galettes they are a deliciously easy way to make a pie, and of course very yummy! Our Rustic Pear & Blueberry Galette is pretty special too! Our readers just love it! Even though the Equinox has come and gone, we have plenty of the spectacular fall season ahead and nothing says fall more than apples and the harvest. So I really hope you love this Harvest Apple Galette. A Galette is French for Tart, and the premise is basically the same. How long does it take to bake a galette? About the same time as a pie, but the difference is that when baking a galette you don’t need to fuss with fluting the pastry edges, and instead of a pie plate, you use a cookie sheet. I’ve made galettes before – there is a Pear and Walnut Galette on the blog. It’s so easy, it will become your go to for pie baking. 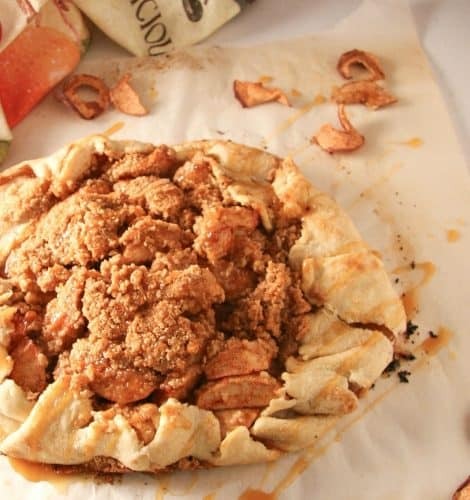 TIP: roll out the pie crust on parchment paper and transfer it to the cookie sheet before you build your galette. Next and in a separate bowl, mix 1/2 cup brown sugar, 1/2 cup flour and 1/4 cup softened unsalted butter until the butter is completely blended. Sprinkle this mixture on top of the apple mixture. 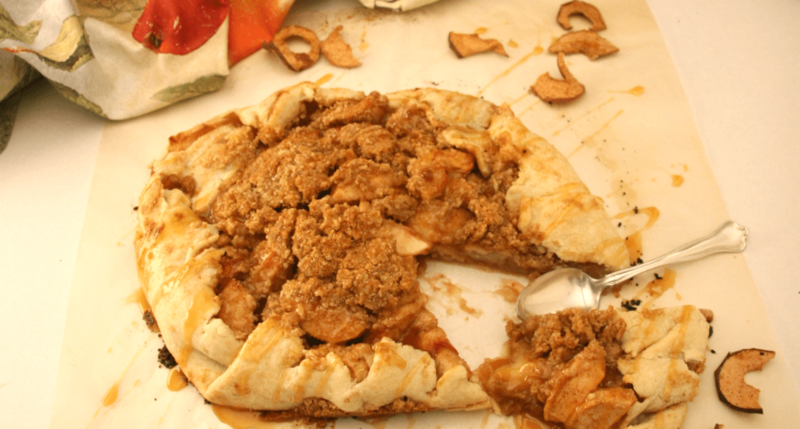 Wrap the pie crust around the apples, folding as you go. See how easy it is? Bake at 350F/180C for 55 minutes on a cookie sheet lined with parchment paper. Let cool, drizzle with caramel sauce and dig in!!! I’ll bet that’s the easiest Apple Pie you’ve ever made! one pie crust - 14- 16 "
Mix 1/2 cup brown sugar, 1/2 cup flour and 1/4 cup softened unsalted butter until the butter is completely blended. Wrap the pie crust around the apples, folding as you go. Bake at 350F/180C for 55 minutes on a cookie sheet lined with parchment paper. Let cool, drizzle with caramel sauce and dig in!!! Did you make this recipe?Tag @pieladybakes on Instagram or hashtag #pieladybakes! BE SURE TO CHECK OUT SOME OF THESE AWESOME FAVOURITES! Lemon Meringue Pie is perfect for Holidays! Homemade Tourtiere (meat pie) that you make on the stove top or in an Instant Pot! We all love EASY right? These recipes will put a smile on everyone's faces! Just click that big button to get our latest content by email.